It's alive! Your puppy...is aliiiiive! Oh, you already knew that? Well, with this Frankenpup Dog Costume you may have a hard time not declaring such timeless phrases. 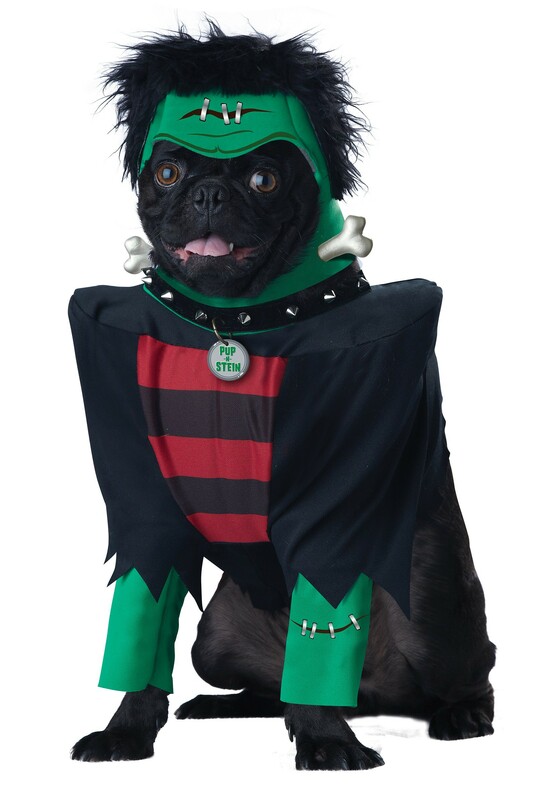 Despite being based on the classic Frankenstein horror monster, we have the feeling that your puppy will still be irresistibly cute while wearing it. Just look at that mop of frizzy black hair, the kind that says, "yeah, I've been dead a while." Or that spike collar, that looks as welcoming as a cactus. And the bone going through the neck? Yeah, we're not too sure about that either, but no one better question it, because this pup's been to death and back and now's got nothing to lose! But honestly, all that considered, the lil' pupper somehow remains adorable. Must be something it learned in the afterlife.